Today’s Judgement in relation to the discredited Police Ombudsman report into the awful killings at Loughinisland in 1994, has been delayed. In a clear example of the growing coalition of legacy activists, from many professional fields, coming together for political purposes, Barra McGrory QC, the controversial former DPP, has emerged to represent the Police Ombudsman. Let me make very clear that every victim, every family, is entitled to robustly pursue truth and justice on behalf of their loved ones. I do not believe unionism’s, or the state’s, quarrel is with bereaved family members seeking justice. However, I believe the issue is that many victims, who are genuinely pursuing justice, are being used for political gain by nationalist activists, and the republican propaganda machine. That is appalling. Legacy litigation should not be about advancing a political agenda, but simply doing what it says on the tin; seeking truth and justice. For this reason I focus this peace on a broad group that I will loosely describe as ‘legacy activists’. I believe this group of people are a distinct entity from genuine victims, from all sides. Some of these ‘activists’ include senior IRA terrorists. The rank hypocrisy- which sadly some elements of the media appear only to happy to indulge- of IRA men standing calling for ‘truth’ and ‘justice’, is clear for all to see. One of those calling for ‘justice’ is OTR postman and Royal Pardon recipient, Gerry Kelly. The interesting thing about the majority of ‘legacy activists’, is that there is a remarkable sense of entitlement. A belief that one set of legal, and moral, rules should apply to them, and an entirely different standard should be applied to unionists, and former members of the security forces. Nationalist legacy groups recently publicly criticised the PSNI for appealing the courts judgement in relation to what is known as the ‘ Glennane gang ‘ allegations. Yet the same groups regularly avail of the appeals system to advance what they believe are the merits of their own cases. Why is it one rule for legacy activists, and another for respondents? 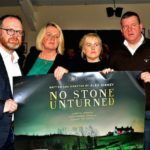 So too have many legacy activist groups promoted the ‘No Stone Unturned’ Loughinisland documentary. This documentary, much of which is based upon a leaked Police Ombudsman document (this is referred to within the documentary itself), names a number of people who have not only never been convicted, but have never been afforded due legal process. They have been tried by the media, and summarily convicted. The same can be said for many people named by Anne Cadwallder in her book, Lethal Allies. Many were never tried by the courts, but instead essentially convicted in a widely published book. Is this the society we now live in? Should we dispense with the court system, and instead just have a free-for-all of public kangaroo courts, conducted in the media? On the other hand nationalist campaign groups and politicians strongly resisted the naming of recipients of On The Run (OTR) letters, citing the fact that many had never been tried or convicted and were entitled to due process. How does this position square with that of promoting documentaries and books, which name persons who have similarly never been tried or convicted? Many nationalists were appalled when unionists raised the issue of former Director of Public Prosecutions, Barra McGrory QC, having previously represented many senior IRA members. 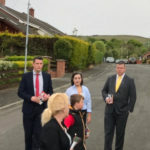 The clear narrative from the nationalist community, and many legal professionals, was that previously representing a client from a particular background does not in any way call into question the professionalism, or impartiality, of a legal professional when he or she has to come to a judgement on a complex legal matter. This, presumably, applies whether in relation to a judgement on a prosecution, or a judgement on whether the prosecution has made its case. Both prosecutors and judges have independent judgements to make. That is why I was astonished to see many from within the legal profession raising the issue that Mr Justice McCloskey previously represented RUC officers. Does this make Mr Justice McCloskey any less impartial than other judges? If the same standards are applied that many of the same legal professionals used in their defence of Mr McGrory, then the answer, clearly, is that it is despicable that anyone would even dare question the impartiality of the judiciary. But, of course, the allegation that Mr Justice McCloskey represented an PSNI officer involved in the Loughinisland case is quite simply factually incorrect. He represented the Police Association and ACC Raymond White filed an affidavit in the case. Mr White was NOT the applicant. This allegation has been concocted by legacy activists to try and derail Mr McCloskey’s judgement. Would they have taken any issue if Mr Justice McCloskey had ruled in their favour? Of course not! Equally telling is that there was outcry when a mainstream newspaper in England labelled Judges ‘enemies of the people’, following a Brexit judgement. This was widely condemned by the legal profession, with many here in Northern Ireland particularly vexed. How does this square with criticism of Mr Justice McCloskey and the smear campaign that has been orchestrated to try and save republicanism’s ‘collusion’ narrative? If, as many suggest he will, Mr Justice McCloskey eventually quashes the Police Ombudsman report, then very serious questions need to be asked about the documentary, and reams of print media, that relied upon a leaked unredacted version of same. So too should many of our prominent media outlets reflect upon their editorial judgement in repeating the allegations from the Police Ombudsman’s report, and the ‘No Stone Unturned’ documentary, as fact. The case brought by Thomas Hawthorn and Raymond White is the first stage of unionism, and former members of the security forces, entering the legacy litigation fray. The same rules will apply, and same tactics will be available, as those used consistently in recent years to promote the ‘collusion’ narrative. The definition of ‘collusion’ has now been changed by virtue of Mr Justice McCloskey’s first ruling, this is exceptional circumstances and could arguably be reasonable grounds to judicially review every other ‘collusion’ judgement, despite many being technically out of time. 122 Responses to "OPINION: Loughinisland case demonstrates the real legacy agenda and hypocrisy that runs through it"
A number of them are rife with spelling problems and I in finding it very bothersome to inform the truth then again I’ll certainly come back again. want enjoyment, for the reason that this this web site conations really fastidious funny information too. what a information! existing here at this webpage, thanks admin of this site. enjoyable and you still take care of to keep it smart. I can’t wait to read far more from you. Please let me know if you’re looking for a writer for your blog. You have some really great posts and I believe I would be a good asset. If you ever want to take some of the load off, I’d absolutely love to write some content for your blog in exchange for a link back to mine. Please send me an e-mail if interested. Many thanks! I am curious to find out what blog platform you happen to be utilizing? I’m experiencing some small security problems with my latest website and I would like to find something more risk-free. Do you have any suggestions? Thanks for another magnificent article. Where else could anyone get that type of info in such an ideal way of writing? I’ve a presentation next week, and I am on the look for such information. Hello there, You’ve done a fantastic job. I will certainly digg it and for my part suggest to my friends. I’m confident they will be benefited from this website. Hmm it looks like your site ate my first comment (it was extremely long) so I guess I’ll just sum it up what I wrote and say, I’m thoroughly enjoying your blog. I as well am an aspiring blog writer but I’m still new to the whole thing. Do you have any suggestions for rookie blog writers? I’d definitely appreciate it. Good post. I study one thing more challenging on different blogs everyday. It will all the time be stimulating to learn content from other writers and follow slightly something from their store. I’d want to use some with the content on my blog whether or not you don’t mind. Natually I’ll give you a hyperlink in your internet blog. Thanks for sharing. The very crux of your writing while sounding reasonable originally, did not really work very well with me personally after some time. Someplace within the sentences you actually were able to make me a believer unfortunately just for a very short while. I still have got a problem with your jumps in assumptions and one would do well to fill in those breaks. In the event you can accomplish that, I will certainly end up being amazed. Wow, incredible weblog format! How lengthy have you been blogging for? you make running a blog look easy. The total look of your site is magnificent, as smartly as the content! It is appropriate time to make some plans for the long run and it is time to be happy. I have learn this post and if I may I desire to suggest you few attention-grabbing issues or suggestions. Maybe you could write subsequent articles relating to this article. I wish to learn more issues about it! Hey there, You have performed an incredible job. I will definitely digg it and in my view recommend to my friends. I am sure they’ll be benefited from this website. It’s in reality a nice and helpful piece of info. I’m happy that you shared this useful information with us. Please keep us informed like this. Thanks for sharing. Greetings from Los angeles! I’m bored to tears at work so I decided to browse your site on my iphone during lunch break. I really like the info you present here and can’t wait to take a look when I get home. I’m surprised at how quick your blog loaded on my cell phone .. I’m not even using WIFI, just 3G .. Anyways, awesome site! What’s Happening i’m new to this, I stumbled upon this I have discovered It absolutely helpful and it has aided me out loads. I’m hoping to contribute & aid different users like its helped me. Good job. content material as you did, the internet will likely be a lot more helpful than ever before.